The Miles C. Bates House – The Fog of War? 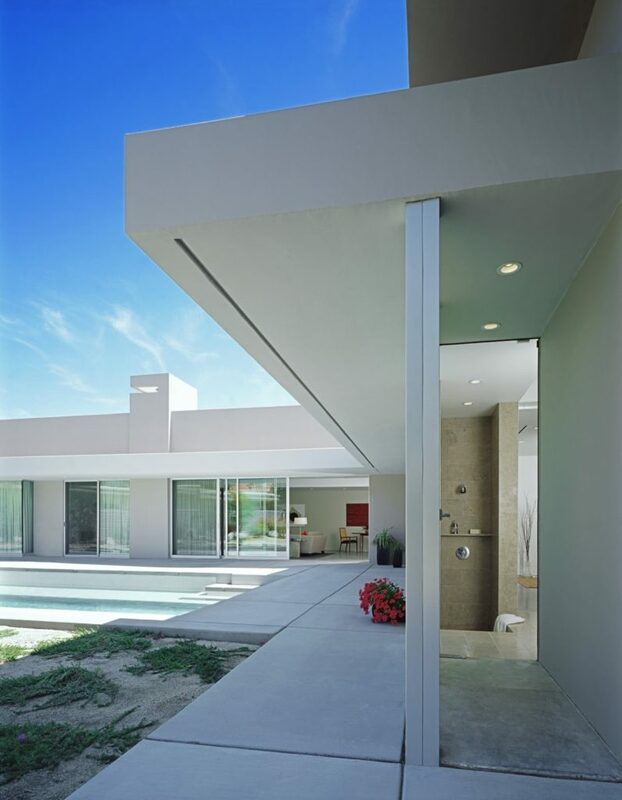 Miles C. Bates house, Palm Desert, CA, 1954-5. 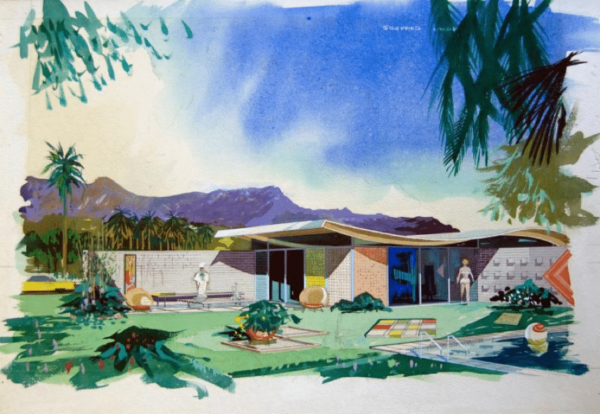 Images courtesy of Architecture and Design Collection, Art, Design & Architecture Museum, UC Santa Barbara. 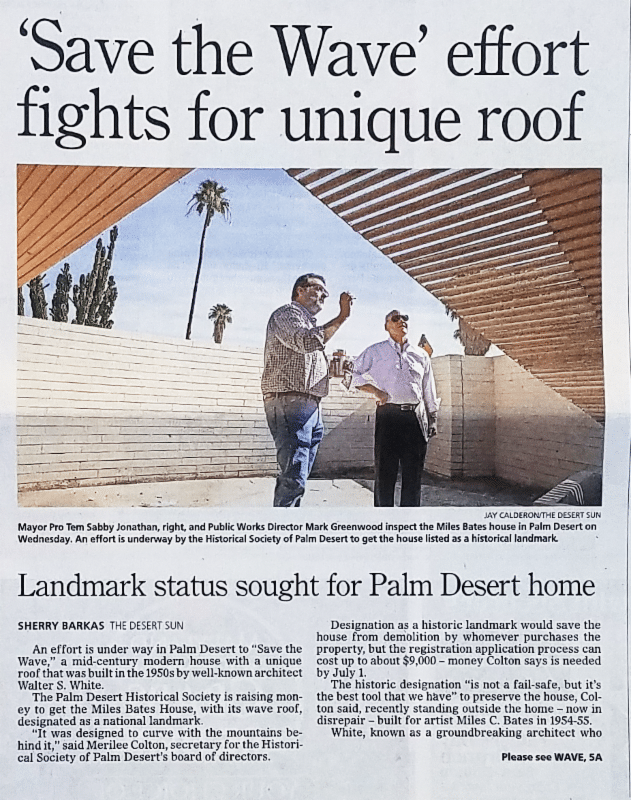 The Desert Sun earlier this month reported a decision by City Council, on advice of City Staff, to formally object to the Historical Society of Palm Desert (HSPD) submission for the nomination of the Miles C. Bates House to the National Register of Historic Places. The general concern was that the City would lose statutory control of the property to the federal designation. Following up on our last newsletter, the Historical Society of Palm Desert did raise money in a very short time to have this unique structure nominated for the National Register of Historic Places. Contributions large and small were received from across the country, showing strong support for historical property preservation. Big donors included the Board of Modernism Week. Lawyers Title graciously contributed to the application by providing the required Chain of Title back to 1952. A professionally drafted application is now in the hands of the California State Historic Preservation Officer. Learn more here. The SHPO is conducting a thorough review of the application for merit and accuracy. If it meets requirements the SHPO will nominate it to the National Historic Register. Hopefully it will be so designated this year. Our last newsletter covered the state of this home and the visit by aficionados to view it, organized by the City and the Historical Society of Palm Desert. It was Front Page news on June 9th in The Desert Sun, reporting the visit by Palm Desert City Councilors of June 7th. The article will help popularize the rescue with the headline “Save the Wave”. It reports the Historical Society of Palm Desert’s initiative to raise funds to have the house designated a national historic landmark. 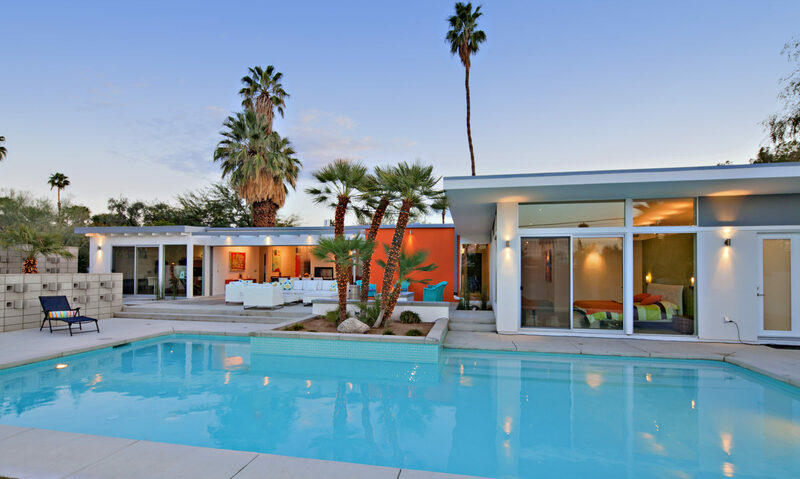 According to Prof. Welter of UC Santa Barbara, it is “a rare if not sole survivor that recalls the architectural origins of Palm Desert” The architect Walter S. White designed at least 48 homes in Palm Desert. 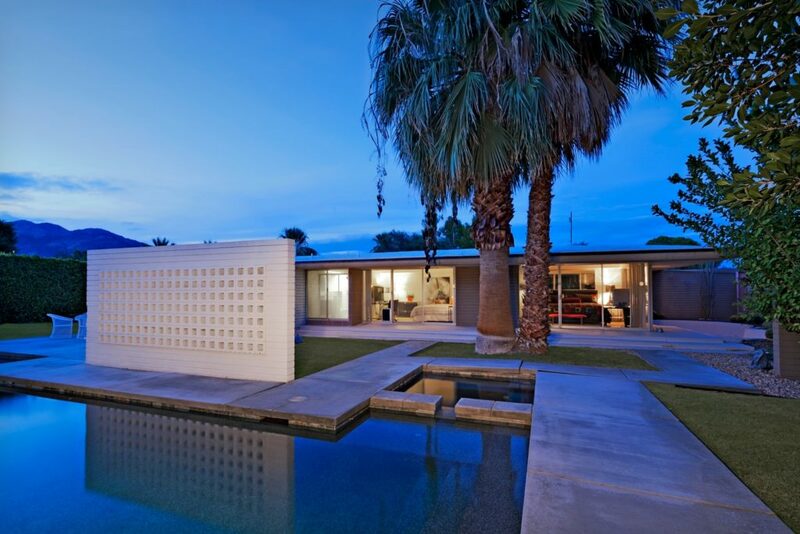 This, the Bates home and those would be of great interest to participants of Modernism Week. 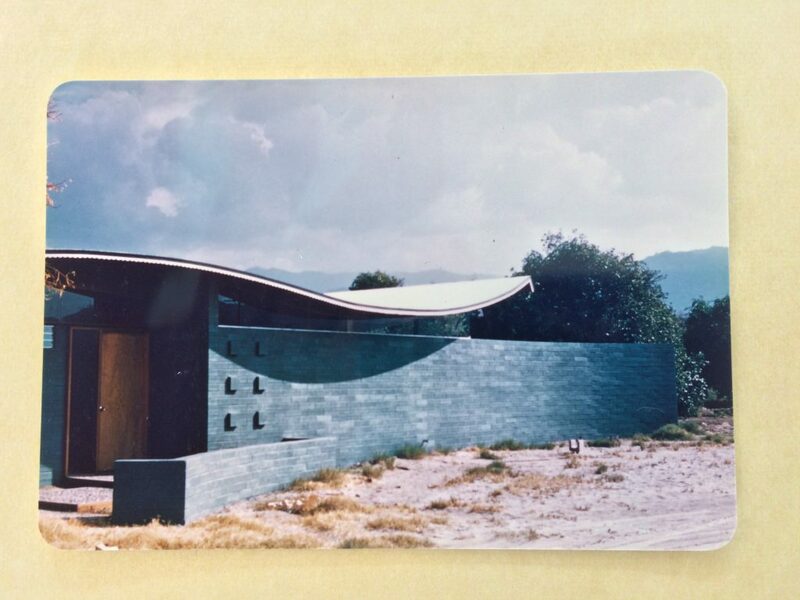 Since our last newsletter with Prof. Volker Welter’s commentary on the Miles Bates house (1955) , we were fortunate to participate in a tour of it arranged with the City by Merilee Colton of the Palm Desert Historical Society. Fearing the worst, we were among about twenty, from all points in Southern California, including City staff, able to take advantage of this opportunity last Thursday. Here is the exterior, as original, and as today with two boxy additions on the front in place of the gracefully curved free-standing wall. 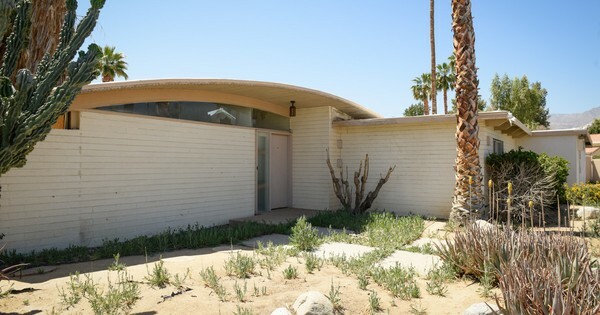 Merilee Colton of the Palm Desert Historical Society advised us that the Walter S White wave-roof home built for Miles Bates in 1954-55, on Santa Rosa Way in Palm Desert is in danger of demolition. The City of Palm Desert, in preparation of disposing of its ownership has had it appraised at a value not much more that its land. The condition of this home is reportedly poor, but restorable. The concern is that the land will be sold without regard to the building and it will be torn down for new construction. As we suit up for MW 2017 to learn more about this genre, it might be good to recall that we’ve learned a lot in the past. 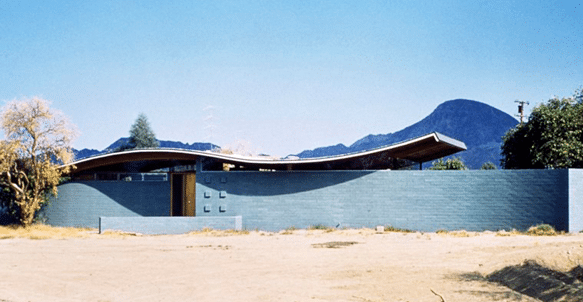 One such discovery at MW 2016 was the little-known Mid-Century Modern architect Walter S White who did memorable structures from Palm Springs to Indio, as well as work in Colorado and Los Angeles. He was first introduced to us in a blog by Professor Volker M. Welter, in 2015, who later did a lecture on the architect at MW 2016. Professor Welter also authored “Projects and Inventions in Architecture”, published by the Art, Design and Architecture, UCSB. This book provides a thorough review of his work and working life with details, background, drawings, locations and photographs. It can be ordered here. Thus the architect has been moved from being little known to well recognized. We have entered our Desert Spring, complete with one day of heavy rain showers that washed all the Summer dust away. So we’re facing a clean start to the season! This weather reminds us of why we live here and we won’t forget it for at least another eight months. 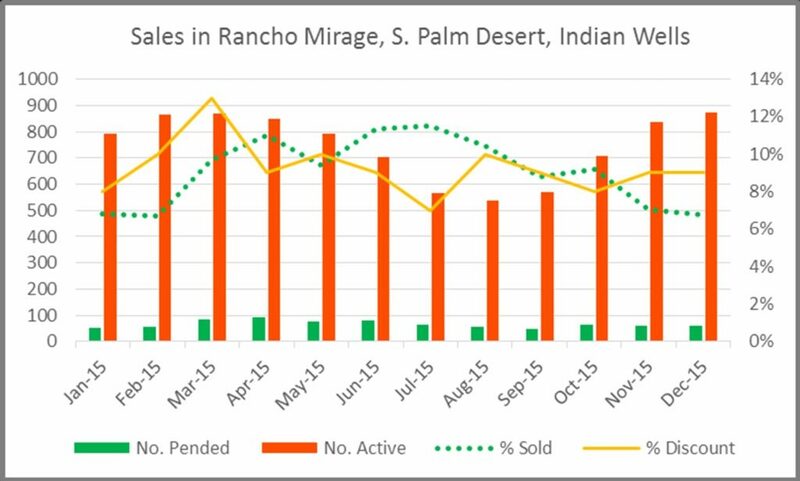 This chart shows that although the number of for sale homes in the noted cities drops in the mid-summer heat, there are still buyers then who put in accepted offers (the green dotted line). That doesn’t drop off until the end of the year. However, at that time new properties are coming on the market. 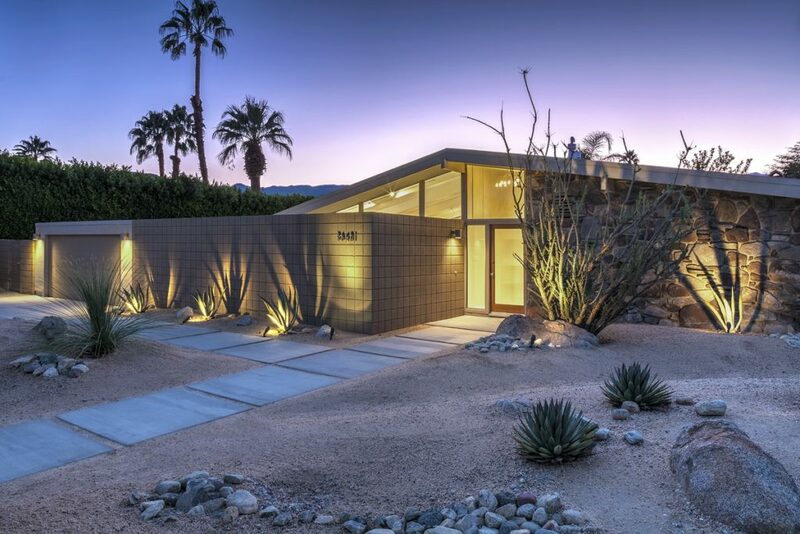 As proof, this superb Palm Desert Modern in the Mid-Century Style by Architect Jay Reynolds AIA, was listed in September and closed in October. It was literally a “hot deal”. So keep your eyes on the desert market all year long. Where has it been and where does it look like it is going. What’s happening right now? Past trends shaped the value of your home, and present trends will affect its sale. Is the market different for your MCM home than others? Usually the answer is “Yes”. 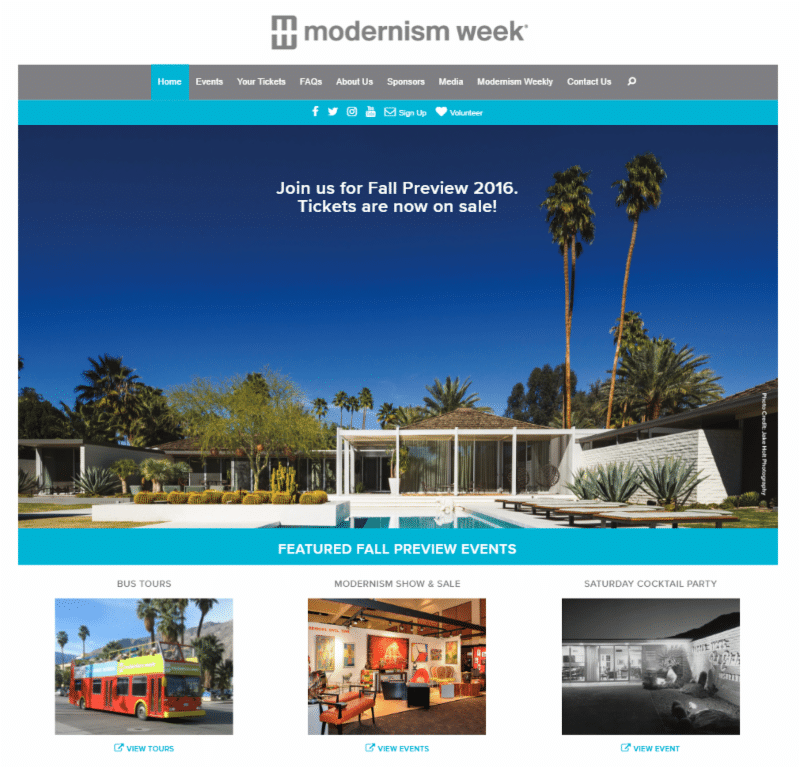 The Modernism Week Fall Preview is an abbreviated version of the ten-day 2017 Modernism Week February 16 -26, 2017, founded in 2009, that brings visitors from all over the world. Two Local Mid-Century Modern listings featured in the latest “Los Angeles Times Hot Property List” for Celebrity & Luxury homes under $1 million! Good Architecture markets itself when it gets seen, and the more it is seen, the more marketing it achieves. The trick is in getting it seen, and that means making it visible to the most people in the most ways.